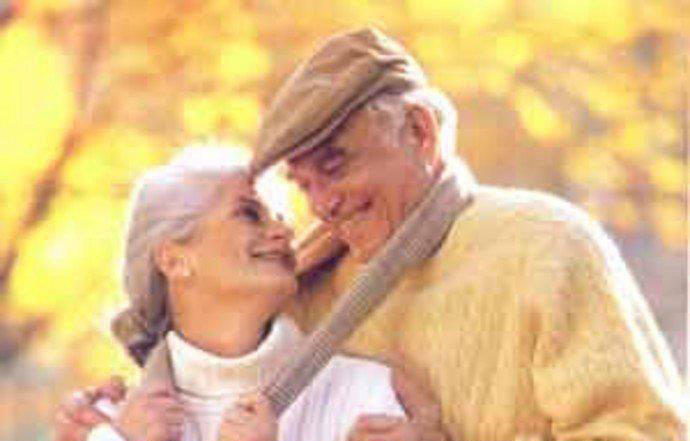 Quotations about Alzheimer. Quotes to stimulate mind and drive action! Use the words and quote images to feed your brain inspiring things daily! Forget politics. 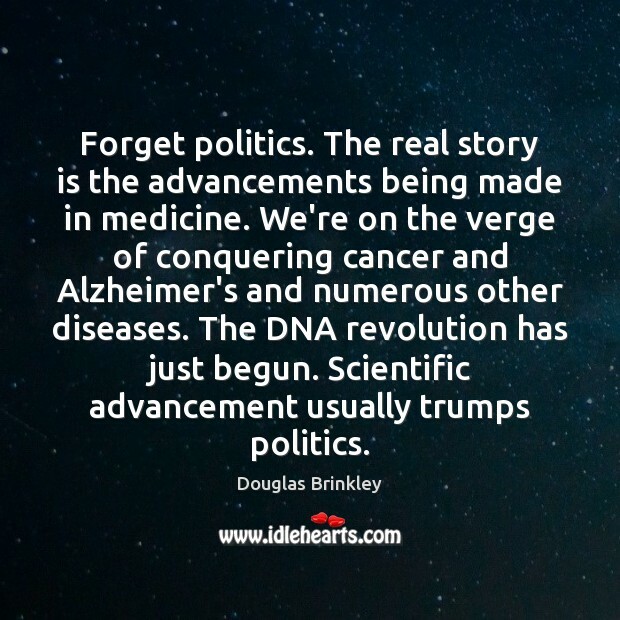 The real story is the advancements being made in medicine. 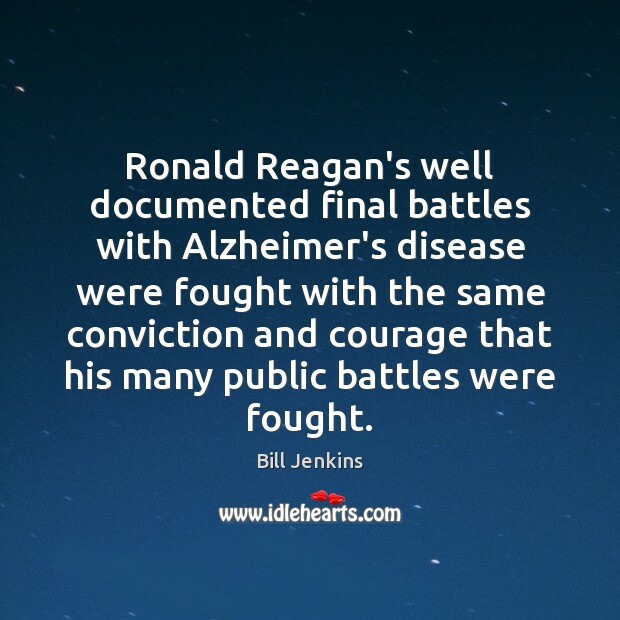 We're on the verge of conquering cancer and Alzheimer's and numerous other diseases. The DNA revolution has just begun. Scientific advancement usually trumps politics. 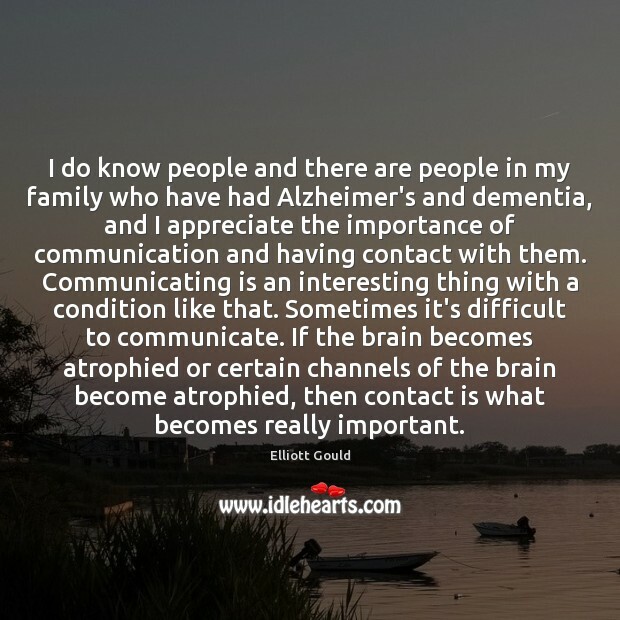 I do know people and there are people in my family who have had Alzheimer's and dementia, and I appreciate the importance of communication and having contact with them. Communicating is an interesting thing with a condition like that. Sometimes it's difficult to communicate. If the brain becomes atrophied or certain channels of the brain become atrophied, then contact is what becomes really important. Never let the brain idle. 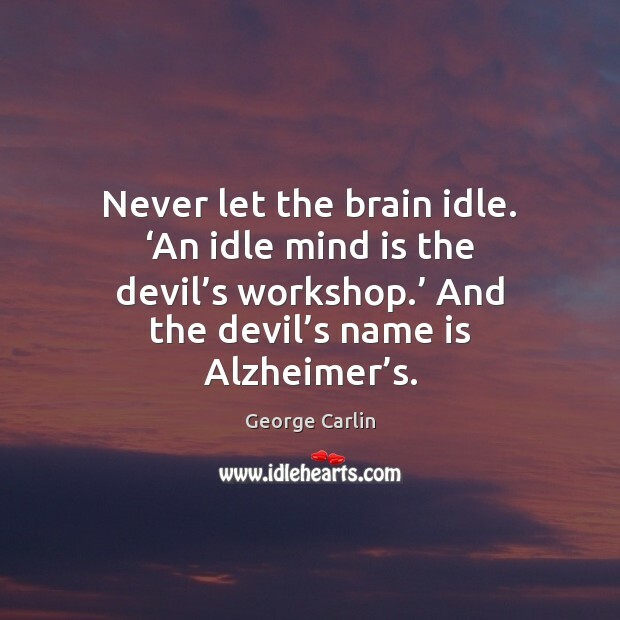 ‘An idle mind is the devil’s workshop.’ And the devil’s name is Alzheimer’s. 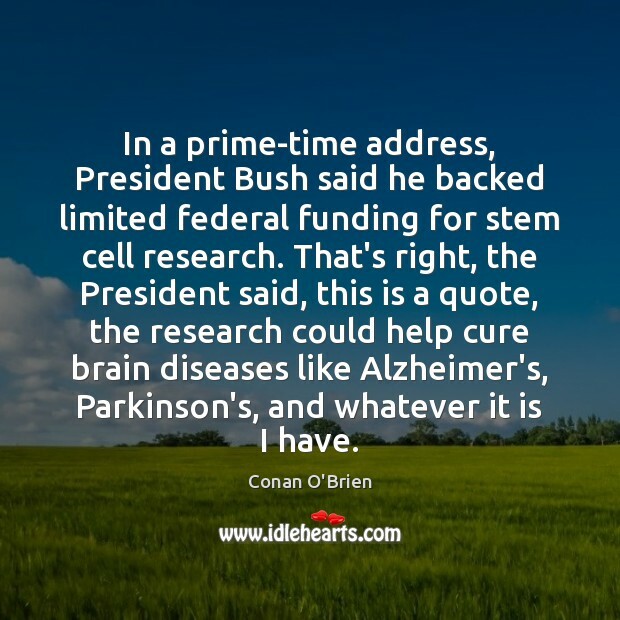 In a prime-time address, President Bush said he backed limited federal funding for stem cell research. That's right, the President said, this is a quote, the research could help cure brain diseases like Alzheimer's, Parkinson's, and whatever it is I have. 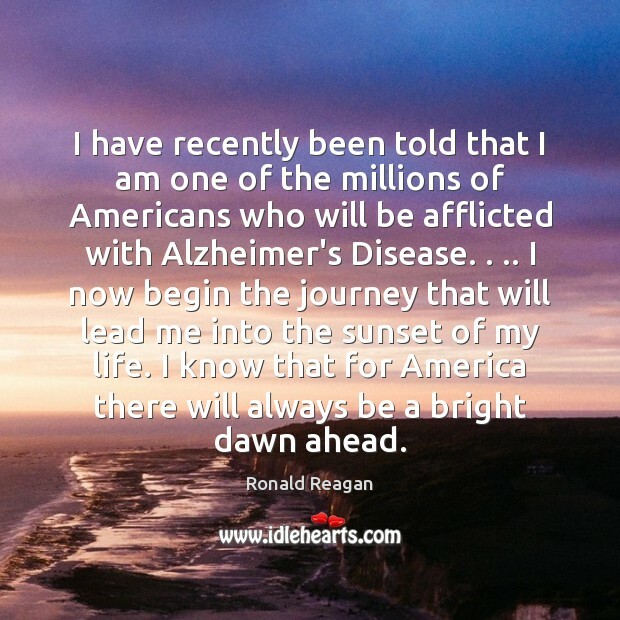 I have recently been told that I am one of the millions of Americans who will be afflicted with Alzheimer's Disease. . .. I now begin the journey that will lead me into the sunset of my life. I know that for America there will always be a bright dawn ahead. 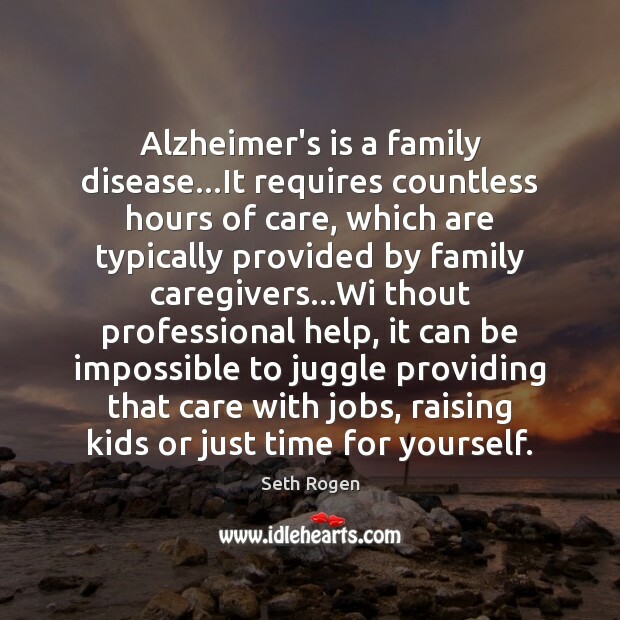 Alzheimer's is a family disease...It requires countless hours of care, which are typically provided by family caregivers...Wi thout professional help, it can be impossible to juggle providing that care with jobs, raising kids or just time for yourself. 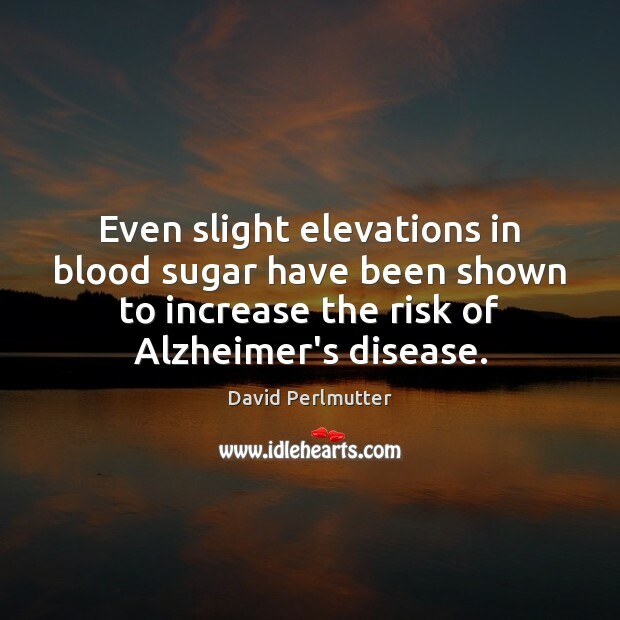 Even slight elevations in blood sugar have been shown to increase the risk of Alzheimer's disease. 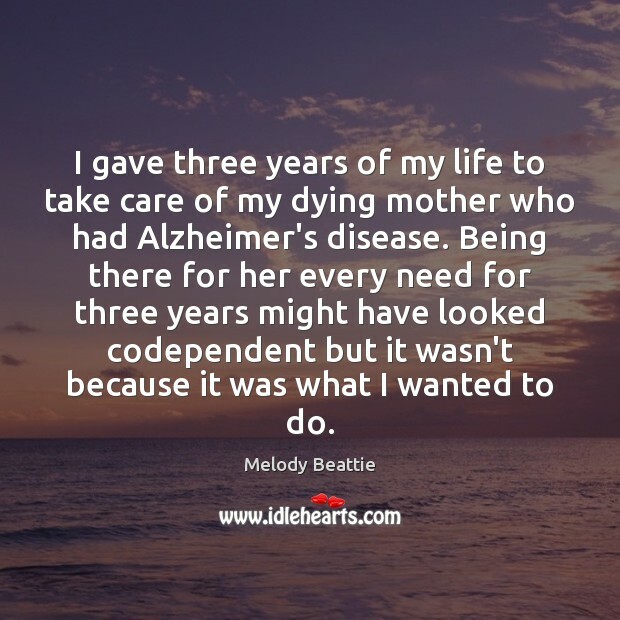 I gave three years of my life to take care of my dying mother who had Alzheimer's disease. Being there for her every need for three years might have looked codependent but it wasn't because it was what I wanted to do. 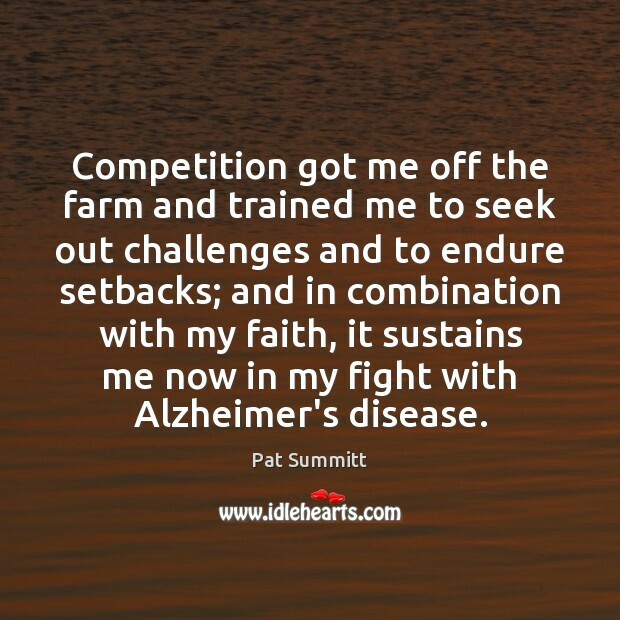 Competition got me off the farm and trained me to seek out challenges and to endure setbacks; and in combination with my faith, it sustains me now in my fight with Alzheimer's disease. 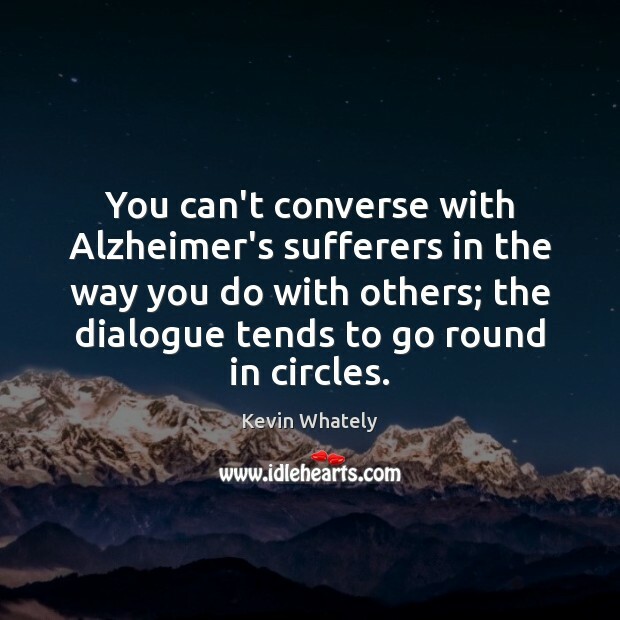 You can't converse with Alzheimer's sufferers in the way you do with others; the dialogue tends to go round in circles. 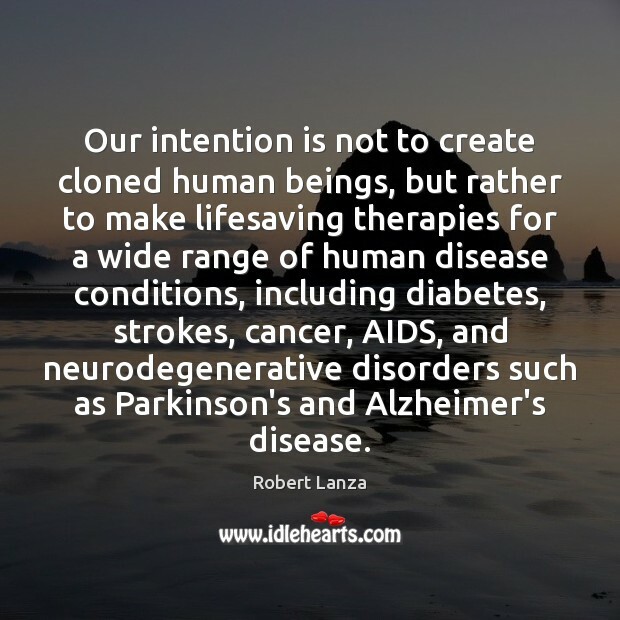 Our intention is not to create cloned human beings, but rather to make lifesaving therapies for a wide range of human disease conditions, including diabetes, strokes, cancer, AIDS, and neurodegenerative disorders such as Parkinson's and Alzheimer's disease. 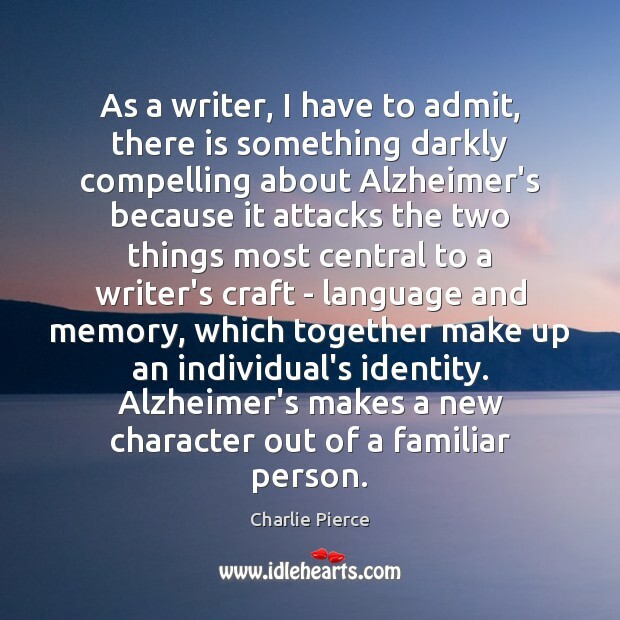 As a writer, I have to admit, there is something darkly compelling about Alzheimer's because it attacks the two things most central to a writer's craft - language and memory, which together make up an individual's identity. 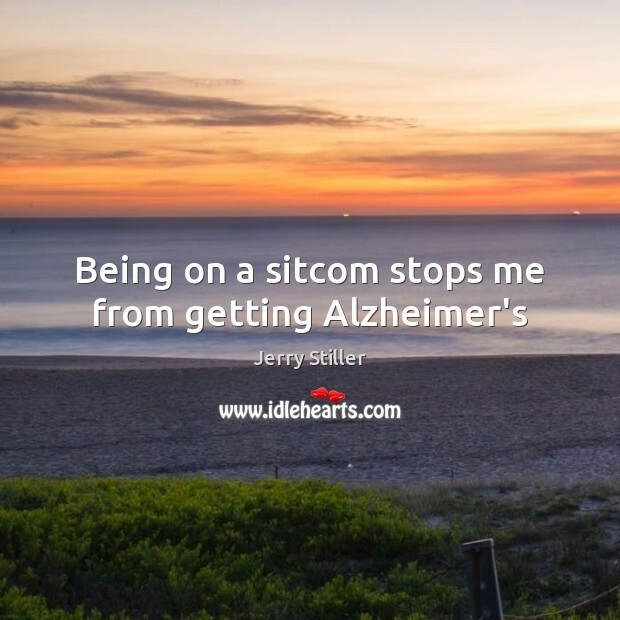 Alzheimer's makes a new character out of a familiar person. 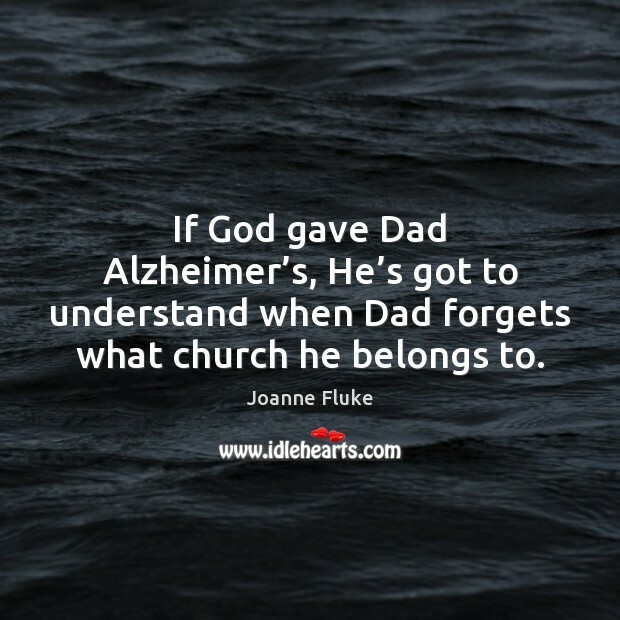 If God gave Dad Alzheimer’s, He’s got to understand when Dad forgets what church he belongs to. 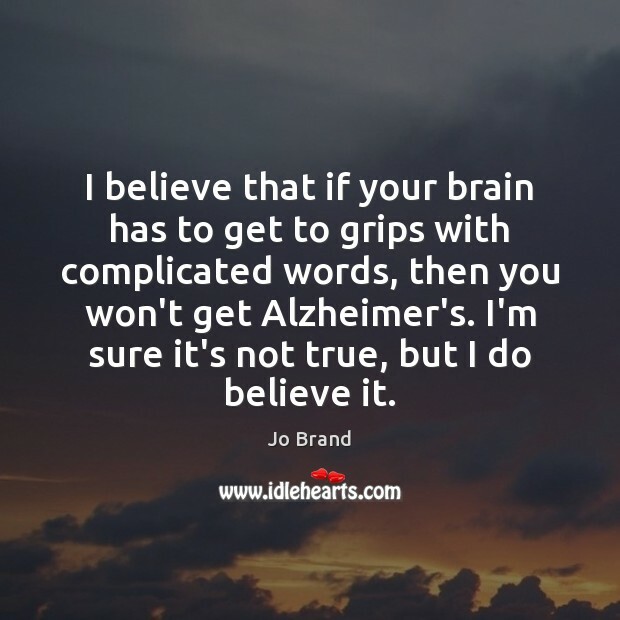 I believe that if your brain has to get to grips with complicated words, then you won't get Alzheimer's. I'm sure it's not true, but I do believe it.